A medical laboratory technician performs routine clinical laboratory testing procedures to provide scientific information needed in diagnosis, prognosis and treatment of disease. Technicians use sophisticated instrumentation for these evaluations, which encompass quantitative and qualitative chemical and biological analyses of body specimens. Technicians function under the supervision of a qualified. The Medical Laboratory Technician program, leading to an Associate of Applied Science degree (AAS), encompasses a two-year, six-semester course of study requiring a total of 100 trimester hours of credit. The program is based on curriculum recommended by the National Accrediting Agency for Clinical Laboratory Sciences (NAACLS), Chicago, IL, USA . Graduates are eligible for certification with the Board of Registry in their respective countries. New classes begin in January, May and September of each year. Medical Laboratory Technicians perform analytical tests on body fluids. 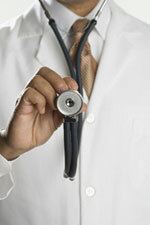 Test results obtained influence the diagnosis and treatment of patients. From these test results, clues to the absence, presence, extent and cause of disease may be found. Tests are performed in laboratory areas such as Hematology, Chemistry, Microbiology, and Blood Banking. Medical Laboratory Technicians must be physically able to move equipment, manipulate small objects, sit or stand for a period of time, collect body fluids from patients and communicate with co-workers, nurses and physicians. Employment may be found in hospital laboratories, forensic laboratories, clinics, research laboratories, and in medical institutions. Provide proof of high school graduation. The application must be completed by the application deadline of 45 days before the start of the trimester. Applicants who have completed the application process will be interviewed. The session will include written assignments and a personal interview. The Health Sciences Division requires that all students accepted into the program provide proof of a physical examination performed by a physician, certain immunizations that include the Hepatitis B vaccine, a urine drug screen, and criminal background check.